Intex has announced its latest QWERTY dual-sim phone named IN 2020 in India. 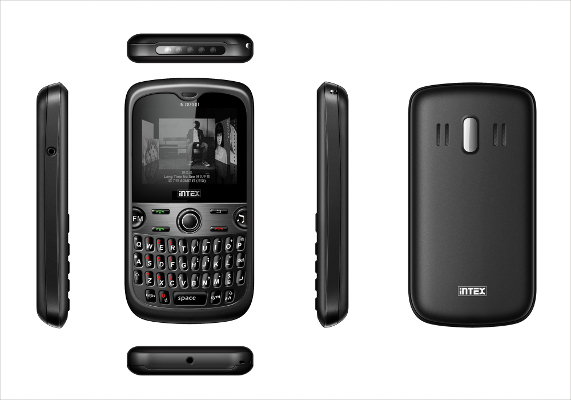 The latest mobile phone from Intex is an affordable dual-sim QWERTY phone. IN 2020 also has support for GPRS and WAP. Noticeable feature in the new Intex phone is the long lasting battery life which can last upto 11 hours of talk-time and 336 hours on standby. The screen size if 1.8″ which is enough for messaging and chatting. It features audio/video player with equalizer. It also has wireless FM radio. The phone has Mobile Tracker technology to track it, if it’s stolen. It has mobile number Black-List feature to block 10 numbers of your choice. It has powerful 5 LED torch light on the top panel. It supports expandable memory upto 2 GB. Apart from all these features, the most compelling feature of Intex IN 2020 is its price. At Rs. 2200, it is one of the cheapest full QWERTY phone you can find in India. Previous Entry: Ubuntu 10.04 LTS Lucid Lynx RC Out: What We Expected, What We Got?